1. 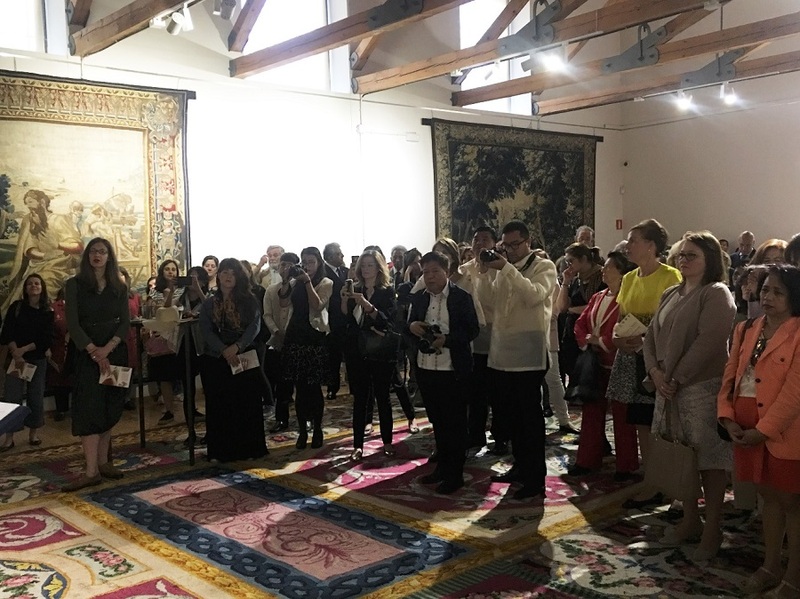 Ambassador Philippe Lhuillier delivers his remarks at the opening of the Hibla ng Lahing Filipino exhibit and related activities at the Real Fabrica de Tapices. 2. Guided tour led by the National Museum, with the Ambassadors of Finland and Belgium, and Ambassador Lhuillier. 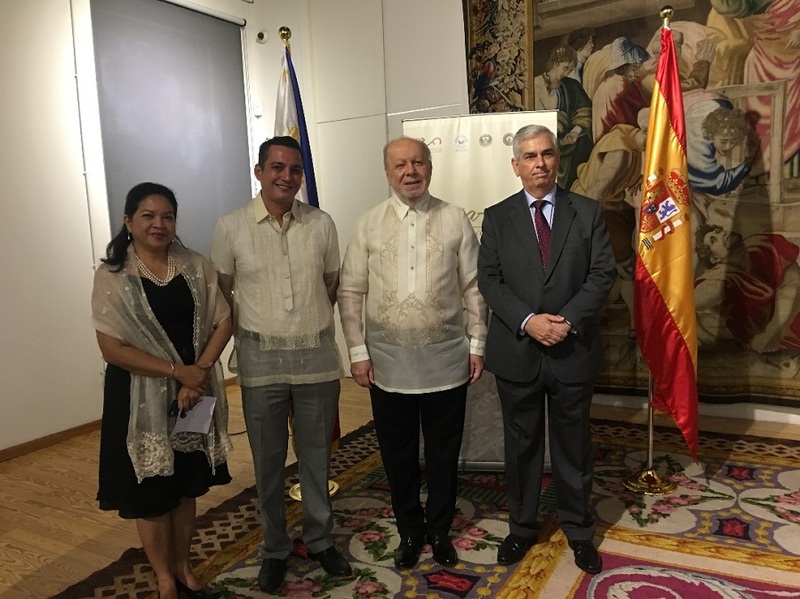 The Philippine Embassy in Madrid and the Real Fabrica de Tapices, through the joint efforts of the National Museum of the Philippines, the Office of Senator Loren Legarda, the Local Governments of Kalibo, Aklan, and Lumban, Laguna of the Philippines, launched the Piña-Seda: Hibla ng Lahing Filipino Travelling Exhibition, Lecture Series, Weaving and Embroidery Demonstrations and Workshops on 24 May 2018 at 10:00 a.m. at the Real Fabrica de Tapices. In his welcome remarks to the audience, Real Fabrica de Tapices Director General Alejandro Klecker de Elizalde expressed satisfaction over the exhibit and its programs, and noted the forthcoming 500th anniversary of Magellan’s arrival in the Philippines and the long interlinked history of Spain and the Philippines which led to exchanges in culture such as the Philippines’ embroidery tradition. 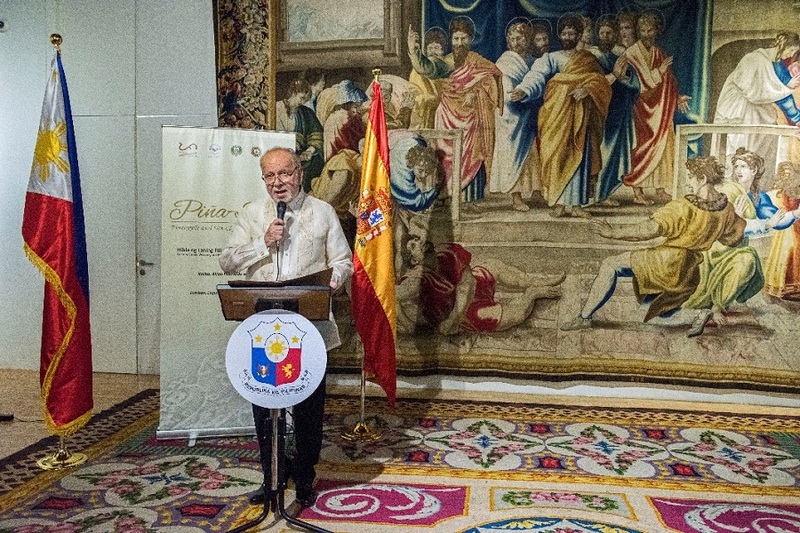 Ambassador Philippe Jones Lhuillier, in his remarks, underscored the contribution of the weavers and embroiders in the preservation of the piña-seda and called them “underrated artisans” deserving of further acknowledgment. 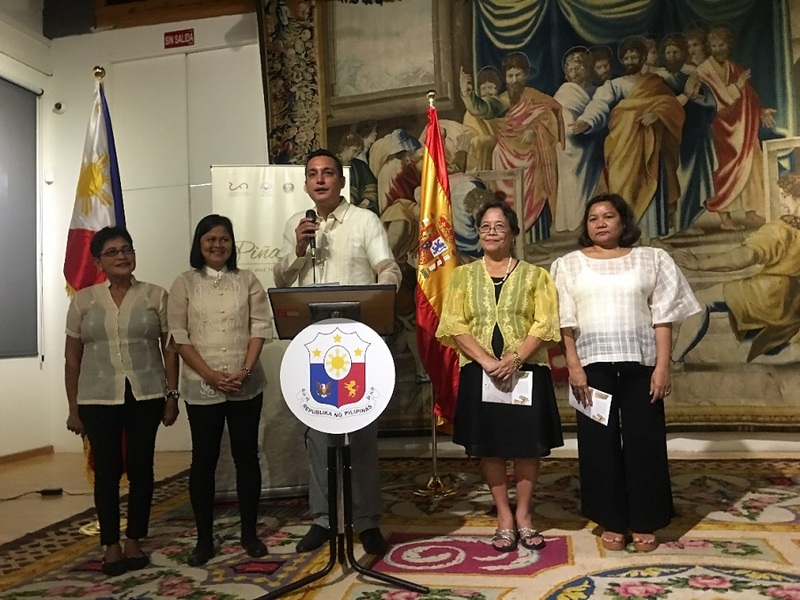 He also thanked the Real Fabrica de Tapices for choosing to work with the Philippine Embassy in bringing the exhibit to Madrid, and the National Museum and Office of Senator Legarda for the initiative to shine a spotlight on Philippine textiles. Also on hand to deliver his statement and that of Senator Loren Legarda was National Museum of the Philippines Director Jeremy Barns, who expressed his deep gratitude to the Embassy and the Real Fabrica de Tapices for hosting the exhibit. 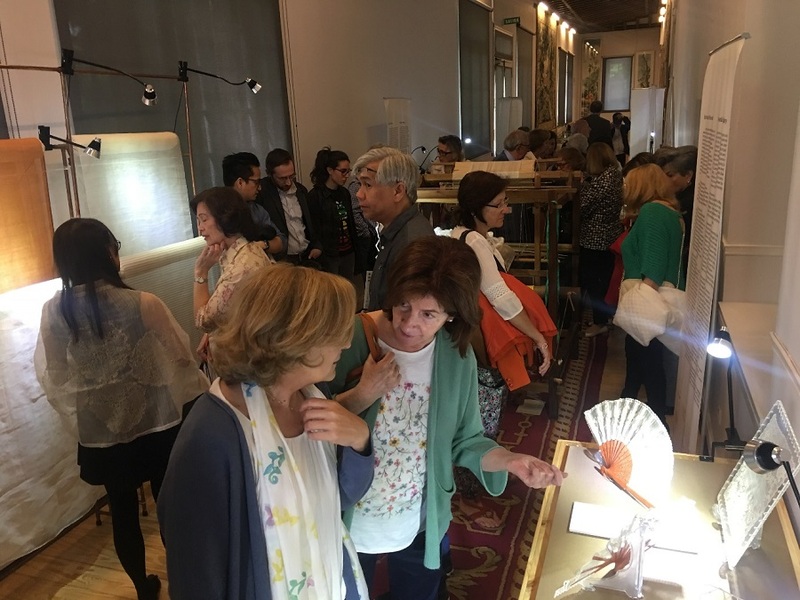 Around 100 people from cultural institutions in Spain, including the Director General of Museo Naval, and representatives from other museums, textile researchers, members of the academe and the Filipino Community were on hand to witness the launch and undertake the guided tour of the piña-seda exhibit led by officials from the National Museum of the Philippines. Former President and Pampanga 2nd District Representative, the Hon. 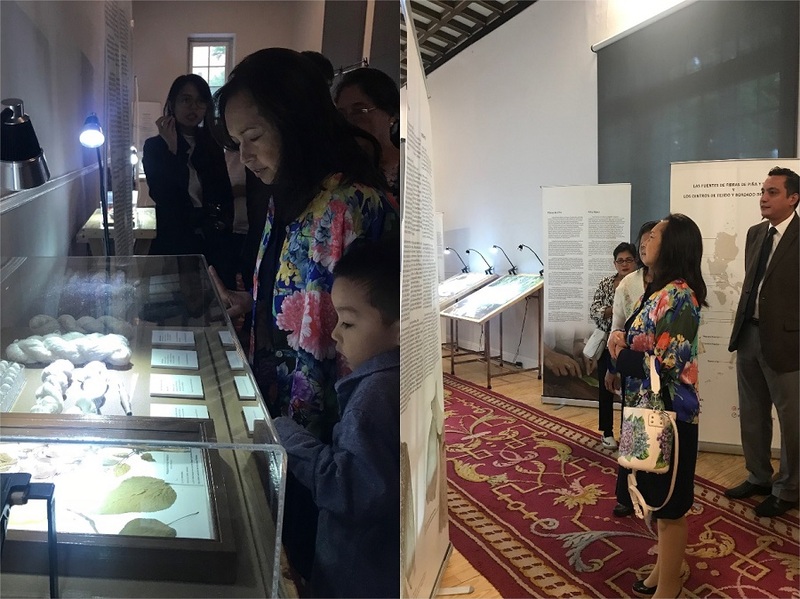 Gloria Macapagal Arroyo, also visited the exhibit on the second day of its run and witnessed a weaving and embroidery demonstration. She congratulated the persons involved in the exhibit. 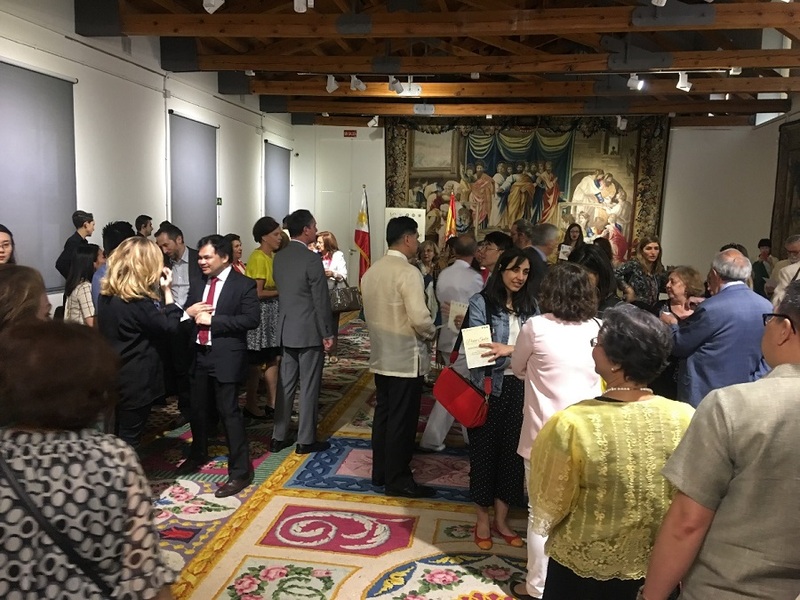 The exhibit and its related activities aim to increase public awareness and interest in Filipino traditional textiles and to deepen appreciation of local weaving traditions and provide venues for the promotion of intangible heritage related to processing and weaving textiles, and knowledge exchanges. 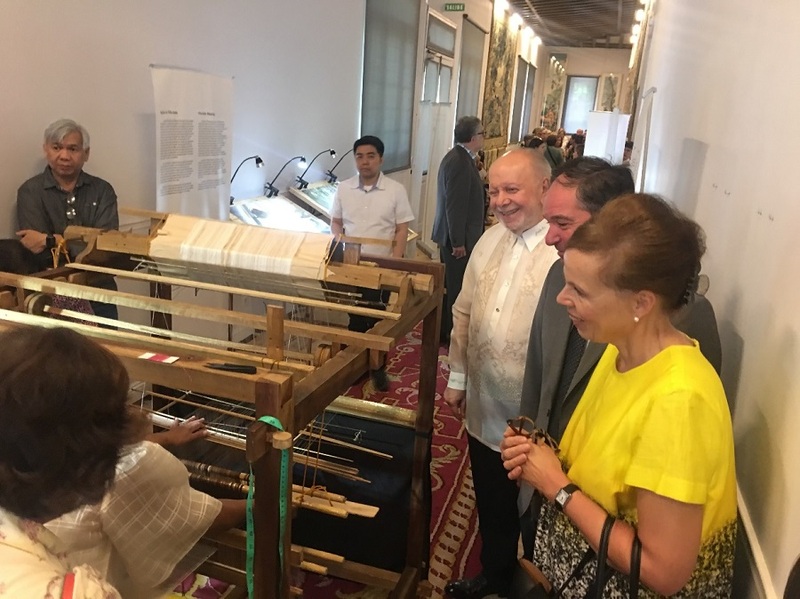 It also seeks to highlight the skills, knowledge and efforts of local weavers in preserving and upholding Filipino traditional weaving heritage. The lecture series on Philippine Traditional Textiles and Indigenous Knowledge will be conducted by researchers from the National Museum of the Philippines, including Assistant Director Ana Labrador, researchers Ms. Anna India Dela Cruz and Ms. Lyn Liza C. Silva. The weaving demonstrations will be led by Ms. Nelia Rogano from Kalibo, Aklan, and workshops by Ms. Magdalena Rosales and Ms. Marilyn Tobias from Lumba, Laguna. The almost 300-year old, prestigious institution will host the month-long Hibla ng Lahing Filipino exhibition from 24 May and will close on 21 June 2018; weaving demonstrations will be held on 25, 28, 29, and 30 May 2018; embroidery workshops on 27, 28, 29, and 30 May 2018; and lecture series conducted on 24 and 30 May 2018 focusing on the Philippines’ weaving traditions, and the history, social significance, and artistry of the piña-seda, arguably the Philippines’ most famous indigenous textile. Philippine Senator Loren Legarda, advocate of indigenous arts and culture, initiated the establishment of the first permanent textile exhibition at the National Museum of the Philippines in 2010 and her office, along with the National Museum, has been leading the promotion of Philippine textiles by bringing the exhibit to various Philippines Embassies in Europe. Philippine Embassy Madrid Calle Eresma 2, 28002 Madrid | Tel: +34 91 782 3830 | Fax: +34 91 411 6606 | E-mail: info@philembassymadrid.com. Website design and maintenance by Apolo Informática.